Broadcast journalist Ramon Tulfo said President Rodrigo Duterte wanted Ozamiz City Reynaldo Parojinog Sr. and his family dead as early as 2000 due to their alleged involvement in the illegal drug trade. Tulfo said Duterte mentioned killing the Parojinogs in the "remote possibility" he became president during a dinner at a Chinese restaurant in Davao City. "Patyon gyud nako sila bai, kay way makatandog sa ila kay hadlok man nila (i'll have the Parojinogs executed because they're untouchable as they instill fear.)" Tulfo quoted then-Mayor Duterte as saying. 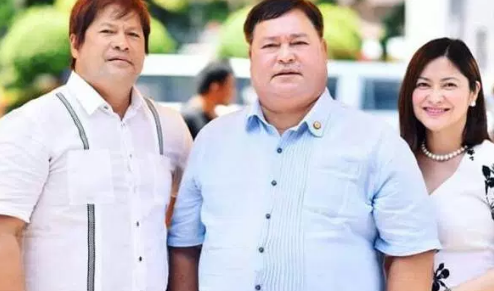 Parojinigs and his daughter, Ozamiz City Vice mayor Nova Princess Parijinog, were identified by Duterte as "narcopolitikos" in a speech on August 7, 2016. Parojinog and 14 other were killed Sunday (July 30) during a pre-dawn raid by members of region 10's Criminal Investigation and Detection Group (CIDG). According to tyhe policemen, they were forced to fire at the Parojinogs becuase members of their security team shot at them while they were trying to serve a search warrant. "Reynaldo Parojinogs alias Andong, the mayor of Ozamiz City. Nova Princess Parojinog Echavez used to be the wife of, i think, Colangco, yung poster boy doon sa.. pa-blondie-blondie pa ang buhok hindi naman tisoy," Duterte said. Tulfo said the parojinogs shifted to the drug trade the infamous rubout of some Kuratong Baleleng members in 1995. The gang, which was notorious for robbing banks and kidnappings, was founded by Octavio Parojinog, the late mayor's father.